After two books celebrating ‘dad jokes’ that are so bad that you have to laugh, Katrina Germein has shifted her focus onto mothers and all the strange things they say. We are delighted to have the opportunity to chat with Katrina about My Mum Says the Strangest Things and her experiences as a writer. Congratulations on your latest picture book! We’re glad that you have chosen to focus on some of the great (and strange) things that mothers say to their children. Where did you find the mother-isms that you included in your book? My Mum Says the Strangest Things is a medley of mum-talk from all over the place. Some lines are from my own mum, some sayings are things my friends say to their children, and there are a few quips that I even say myself. Do you have a favourite ‘strange’ thing that you say with your own children? When I want some uninterrupted writing time I tell my children that only boring people get bored so that they might go and amuse themselves for a while. Did you use up all the funny things that fathers say in My Dad Thinks He’s Funny (KBR review) and My Dad Still Thinks He’s Funny (KBR review) or will we see another collection of funny dad quotes? I’m sure there are a million more jokes that could be used in another book but two dad books is enough for me. Why do you think there are so many things that mothers and fathers say to their children that other families find familiar? Is there a parenting rule book somewhere with a list of Things Parents Must Say that we don’t know about? It seems lots of these phrases are quite universal. I was surprised when My Dad Thinks He’s Funny was published in the US and the UK because I wasn’t sure if the humour would translate across cultures. I thought the book was very Australian but I guess the experiences of parenting are shared across the seas. Parenting is tricky and I think the funny one-liners are actually little tools to help parents navigate their way. The sayings allow parents to lighten the moment and explain things differently, without having to think too much. 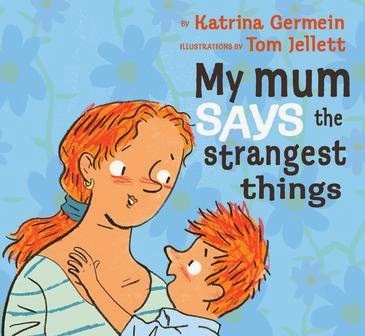 My Mum Says the Strangest Things is your latest picture book. You have written seven wonderful picture books since Big Rain Coming was first published in 1999. Do you have a favourite? I tend to answer that question differently depending on my mood. I’m proud of all of all my books. When pressed though, my default answer is usually Big Rain Coming because there’s something very special about the first book with your name on the cover. Your picture books have received great reviews and commendations and have been featured on television programs like Play School. Do you have a favourite moment when one of your stories was acknowledged in a special way? I’ve been fortunate to have three titles selected for Play School and that’s always a thrill. Baby Gets Dressed was adapted and performed live which was very special too. I was also pretty gobsmacked when the first print run of My Dad Thinks He’s Funny completely sold out within weeks. It’s hard to choose one moment. I think the most touching times are hearing stories from parents about how their children have enjoyed the books at home, the tales of kids quoting parts of a book back when something in real life reminds them of something in the story. They’re the best moments – realising that families are sharing the books together and children are enjoying them. What is the best thing about being an author? What is the worst? This question is a bit like the 'What’s your favourite book you’ve written?' question because I give a different answer every time. So, how am I feeling today? The worst thing about being an author is: the constant self-doubt, worrying if my writing is good enough to share with other people. The best thing about being an author is: indulging in something that makes me happy (writing) simply because it makes me happy. What’s next? Should we all be letting you know more strange things our mothers say (or that we mothers say ourselves) for your next picture book? My next picture book will be published in March. It’s titled Thunderstorm Dancing and is being illustrated by Judy Watson. I can’t wait to see it all finished. Judy’s artwork so far is looking completely amazing. 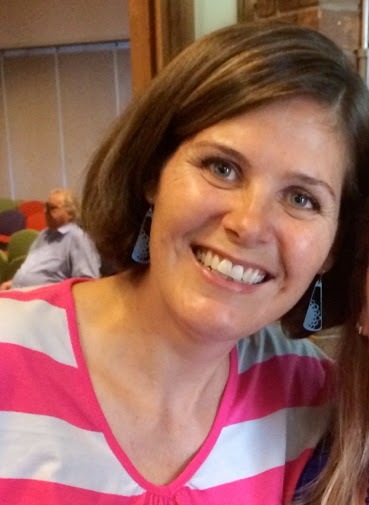 Best-selling Australian author Katrina Germein has had her picture books published in Australia and overseas. Her first book, Big Rain Coming, has remained in print continuously since it was released in 1999. Her latest picture book, My Mum Says the Strangest Things, is published by Black Dog Books. You can find out more about Katrina and her wonderful books by visiting her website and following her Facebook page.